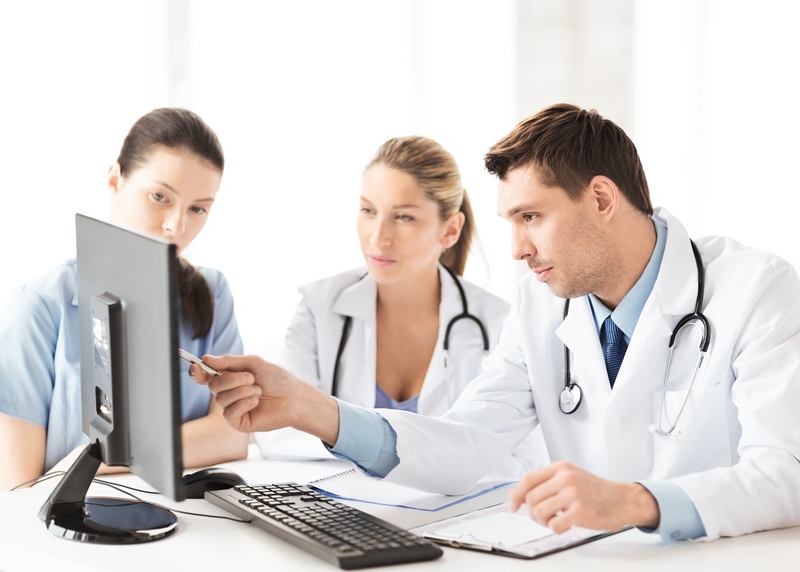 Due to the recent rapid expansion of electronic health records systems (EHRs) throughout medical practice that was promoted and accelerated by the HITECH Act of 2009, and the more general advances in data generation and analysis, there is a critical need in clinical medicine to have physicians among all specialties who have deep training in informatics. Pathology and Laboratory Medicine are highly dependent on sophisticated information systems specific to their discipline that must integrate with EHRs. The David Geffen School of Medicine at UCLA and UCLA Health are seeking outstanding applicants for a combined two-year fellowship in Pathology and Clinical Informatics (CI) at the University of California, Los Angeles. The program is open to pathologists only. The fellowship's goal is to develop leaders with expertise in transfusion medicine and informatics. The fellowship will provide physicians with experiential training in alignment with the ACGME guidelines. Upon successful completion of the two-year program, fellows will be eligible for board certification in clinical informatics and transfusion medicine. The program’s educational experiences will consist of informatics rotations, didactic sessions (including courses), an independent research project, and transfusion medicine rotations. The UCLA Department of Pathology and Laboratory Medicine offers transfusion medicine fellows rotations to develop expertise in transfusion medicine practice, transfusion service management, donor center operations and laboratory management. In addition, fellows will participate in transfusion medicine-based research and develop expertise in evaluating and implementing new techniques and laboratory procedures. Upon completion of the program, fellows will be qualified and ready to take on the responsibilities of Medical Director of a transfusion service, either hospital-based or at a regional blood center. The core of the our program centers around two hospital-based transfusion services at Ronald Reagan UCLA Medical Center and Santa Monica-UCLA Medical Center and Orthopaedic Hospital, which provide exposure to adult, pediatric, and neonatal patients. Practical experience is gained through daily exposure to red cell type and screen procedures, antibody identification and complex serologic evaluations; transfusion reaction work-ups; daily blood component inventory analysis; special needs consultations (CMV seronegative, irradiated, washed, fresh, HLA-antigen negative platelets, etc. ); blood component therapy; massive transfusion protocol support for trauma, obstetric and transplant patients; evaluations for platelet refractoriness. Fellows serve as part of our transfusion medicine consultation team, providing either first call for problems or decision-making support for anatomic/clinical pathology residents. Transfusion medicine physician calls are initiated either from requesting clinicians or from our own technical staff, as determined directly from our laboratory policies. The clinical caseload reflects the patient mix at both hospitals, Ronald Reagan UCLA Medical Center and Santa Monica-UCLA Medical Center and Orthopaedic Hospital, providing care for tertiary/quaternary patients with a level I - designated trauma center, complex cardiovascular and transplantation programs, and a community-based practice, respectively. The supervision of the transfusion medicine team is under the direction of attending faculty members, who facilitate case-oriented and didactic learning processes throughout the year. The trainees also interact in a more limited fashion with the other residents and fellows in our Pathology Department via joint conferences and interactions in the area of hematopathology and general clinical pathology. Additional interactions occur through consultations with other services including adult and pediatrics hematology/oncology, anesthesiology, surgery and maternal-fetal medicine. Experience in blood center administration will be gained at the UCLA Blood and Platelet Center (BPC), which collects approximately 35,000 donations per year at two fixed sites and on mobile drives throughout the greater Los Angeles area. Through the BPC, the transfusion medicine fellow will participate in education and instruction on recruitment; donor suitability for autologous, directed and volunteer donors; blood collection; management of donor reactions; and donor testing. Additionally, the fellow will rotate through the UCLA Component Processing Laboratory for experience with blood product manufacturing, processing, and preparation. Off-site rotations through the American Red Cross Reference Laboratory, UCLA Immunogenetics (HLA) Center, Cedars-Sinai Therapeutic Apheresis Center, and City of Hope Apheresis Unit and Stem Cell Processing Laboratory complete our comprehensive fellowship training program. Informatics Rotations consist of 2-3 month assignments to a working unit of the UCLA Health Information Services and Solutions department. This presents a unique opportunity for fellows to work in a health care delivery system that has been named among the nation's "Most Wired" by Hospitals and Health Networks magazine and honored with the HIMSS Analytics Outpatient and Inpatient Stage 7 Awards, representing attainment of the highest level of electronic medical record progress at hospitals and health systems. Most recently, only 1.2 percent of the more than 5,400 U.S. hospitals in the HIMSS Analytics Database have received this recognition. This fellowship program is designed to allow a highly flexible rotation sequence, customized to the fellow's career goals and prior clinical experience. Didactic activities include seminars delivered by expert faculty covering the core curriculum, journal club and case studies. Fellows also participate in clinical and research conferences and other educational activities. The Transfusion Medicine fellows are responsible for presenting at several multidisciplinary conferences and tumor boards. The schedule and expectations are specified under each specific rotation. Finally, the fellow will have the opportunity to audit select courses from the UCLA Master’s Degree in Biomedical Informatics. Based on personal career objectives and informatics challenges that they identify in rotations, fellows will select a research mentor and a research question to address as their primary research project. Resources of the UCLA Clinical and Translational Science Institute will be available to support fellow projects, providing research access to EHR data and statistical consulting. eligible or Board certified. International medical school graduates will only be considered if they have completed their residency training in a US or Canadian ACGME accredited residency program. A California medical license is required on day one of appointment. Please click on the "Apply Now" link to apply for the Combined Surgical Pathology/Clinical Informatics Fellowship. If you have any further questions, please contact Heidi Merkin for Surgical Pathology specific questions and Kevin Baldwin for Clinical Informatics specific questions.